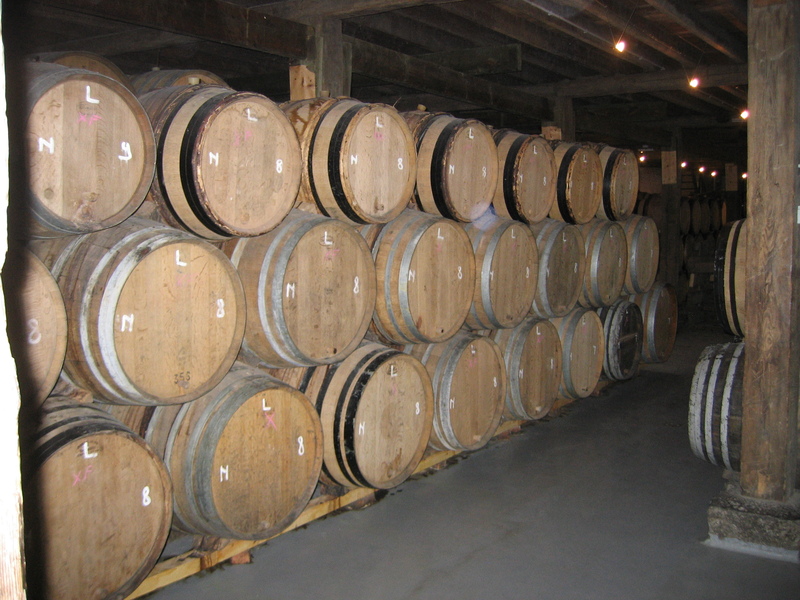 Some commercial breweries, such as Cantillon (whose barrels are shown here), are dedicated to producing sour beers. You can produce sour beers at home without giving up the brewing of non-sour beers. Sour beers evoke a strong response in homebrewers. Some absolutely love them, others couldn’t be more put off. In my experience, there are relatively few brewers who are on the fence when it comes to enjoying sour beers. Among sour beer lovers, however, there are some who are leery of brewing them at home. This is almost always due to worries over having their equipment forever contaminated once they let the sour “bugs” into their brewery. As someone who has brewed many sour beers, I’d like to relate what I know about cleaning and sanitizing when brewing sour beers — mostly that the wild yeasts and bacteria that make sour beers sour can be controlled with proper cleaning and sanitation. If you can brew a hefeweizen, and your next beer doesn’t turn out to be a hefe-weizen, you can brew a sour beer and not have your subsequent beers be contaminated. Let’s start with the easiest topic to address — cleaning and sanitizing hard, non-porous surfaces such as glass or stainless steel. These surfaces can be cleaned thoroughly and sanitized effectively using normal homebrew procedures. I clean with hot PBW and sanitize with either Star San or iodophor. I clean until the surface is visually clean and, if I can touch it, feels smooth. Doing this, I have brewed non-sour beers in fermenters immediately following a sour beer fermentation and had no problems. This includes plastic bucket fermenters. If you normally produce clean beers, your normal cleaning and sanitation practices should be sufficient in cleaning hard surfaces. When it comes to soft materials or hard surfaces with scratches, the standard advice is not to use these items once they have been used in a sour beer fermentation. Many sour beer brewers keep a set of one or more drilled rubber stoppers, plastic airlocks, plastic buckets and racking canes dedicated to their sour beer fermentations and another set dedicated to their regular brews. This is prudent because softer materials have more “nooks and crannies” for souring microorganisms to hide. Plus, after brewing for awhile, you are likely to have a bucket and racking cane that is nearing the end of it’s useful life. And stoppers are cheap. It not at all hard to set aside a set of “soft” things for use in brewing sour beers. One exception to what I’ve said is barrels, or anything made of wood. If you’ve used a barrel to ferment or age a sour beer, congratulations, you’ve not got a barrel dedicated to sour beer production. You can’t sanitize wood and leave a vessel you’d want to put beer in. If your next beer is clean, you can continue to brew with confidence that you haven’t started a cycle of contamination. Any idea about how many batches of beer you can put through a barrel before it is likely to be infected (I have little 5 gallon whisky barrels)? I am trying to figure out when I should just move to the sours on one of my barrels rather than subjecting a perfectly good non-sour beer to a possibly infected barrel to begin with. First of all, a barrel will never be infected. If it harbors microorganisms other than yeast, it’s contaminated. All beer is contaminated to some extent. If you continue to use a barrel to age (non-sour) beers, it will eventually harbor enough contaminants — with the wild yeast _Brettanomyces_ being one of the most likely contaminants — to start fouling your beer. Predicting how many times you can fill the barrel is impossible, however. It depends on how contaminated each batch of beer was and what condition the wood is in. If it’s starting to make you nervous, switching to sours might ease your mind. 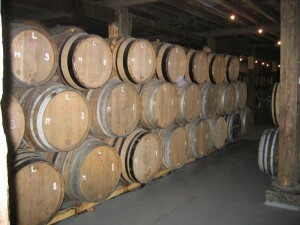 And of course, filling a barrel once with a sour beer means that barrel can only be used for sour beers subsequently. Brewing a sour beer is on my list of things to do. Hopefully I’ll be able to get one going this year. One trick I remember hearing about for sours was using an oak table leg(unfinished) in place of an airlock in a carboy. This always scared me, due to the relative fragility of glass carboys and the tendency of wet wood to swell. I plan to purchase a half-barrel stainless keg and was wondering if using a similar setup, with an oak table leg, would allow for similar air transfer and contact-to-volume ratio or if a fifteen-gallon keg would skew the ratio too significantly. Hi Chris, my fingers are crossed that you see this comment this week – I’m planning on doing a spontaneous/wild fermentation today, leaving outside until probably Friday – then the carboy will go to the basement to do its thing. My concern is that the gas released by the wild fermentation may introduce a strong presence of “bugs” in the basement over time, which is where I chill and aerate my wort and pitch my yeast for traditional ales and lagers. Should I be concerned about that? Thanks! !